I can’t decide for you whether it’s worth the price or not, but for me, it was certainly worth trying at least once. Check out Indo Civet Coffee, owned by a friend of my friend Le. They’re among the cheapest sellers of this special coffee, and we thought it was notably delicious. **Update: Just got word that Sudibyo Pradono of Indo Civet Coffee is going to give samples to 5 lucky readers! Just leave a comment on this post by 11am on Thurs, April 29th. Winners will be chosen randomly. Shipping to the US only. which is Amy, Kathryn, Pete, Karen, and Daisy. Congrats! 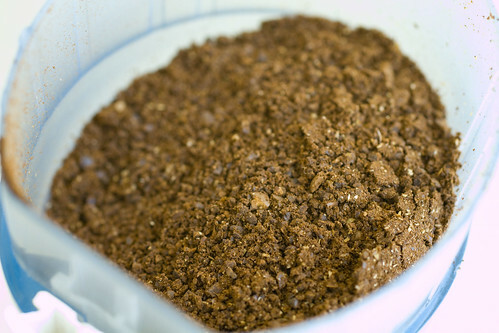 Cat Poo coffee coming your way…. posted by jessica	at 08:21 AM	Filed under Drinks, Give-Aways, Products, Video. You can follow any responses to this entry through the RSS 2.0 feed. Both comments and pings are currently closed. That sounds very interesting. I’m curious to see how it tastes. Also, just to be clear, when I use some kind of random generator thingy to choose 5 winners, I’m not counting comments by me or Le as being there. I’d love to try it! Sounds exotic. Well, it’s one way to process food (or drink) and I suppose it’s as natural a processing…well, process (!) as you can get! This looks really cool! thanks for the video! Awesome video! I am a huge coffee drinker and have yet to try this kind. I hope I win! Cool. I’m in it to win it! Poop coffee sweet. Count me in! That looks so interesting! Definitely something to try at least once. i’ve had civet cat coffee beer before (Mikkeller’s Beer Geek Brunch), but not the coffee itself. Would love to try it! Mmmmmm…..Cat Poo Coffee and a smoke first thing in the morning, I can hardly wait. Tracy, how was the Civet coffee beer? Yeah, barely made it in. Love trying new things. I’d love to try this coffee!!! We’ve also had the Civet coffee beer(http://beeradvocate.com/beer/profile/13307/46987)…it’s a wonderful dark imperial stout. I’d love to try the coffee too! Ok, I’m intrigued by Civet Poo Coffee! In this photo the ground beans are so strikingly different than regular ones look. I would love to serve this along with monkey-picked tea! I have heard so much about this coffee and it would be wonderful to try. Count me in! 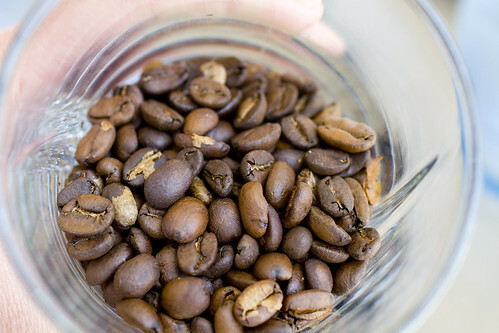 I’ve heard about kopi luwak for years now and have always wondered whether or not it’s worth the price. I’d love the chance to find out for myself! I’ll try anything once, so I’d love to give this a shot. You are so adorable in the video! And a braver woman than I. You did it first and if you say it’s good, it must be! Sign me up! Thanks for all the comments everyone, particularly the compliments…keep those coming. hahaha Thanks for participating. Wish I could give everyone, but 5 winners have been announced and e-mails have been sent to them. What will my next give-away be? hmm…. Wow!! Is this for real? I guess anything is possible. I am an avid coffee drinker and really would like to try a different kind. Sorry guys, contest was over yesterday. As coffee icon George Howell put it, this coffee is from a-holes for a-holes. The sad part about this operation is the animal cruelty that goes on. It is not a free-range Civet doing the work, rather it is force-fed, caged cats that are akin to a factory farm. Several coffee professionals were invited to tour his operation and came away truly appalled. If you are spending $100 a pound on coffee, treat yourself to some Panama Esmeralda Gesha or a Cup of Excellence winner. Kopi Luwak is a gimmicky, crappy cup.